Okay, now I got your attention! 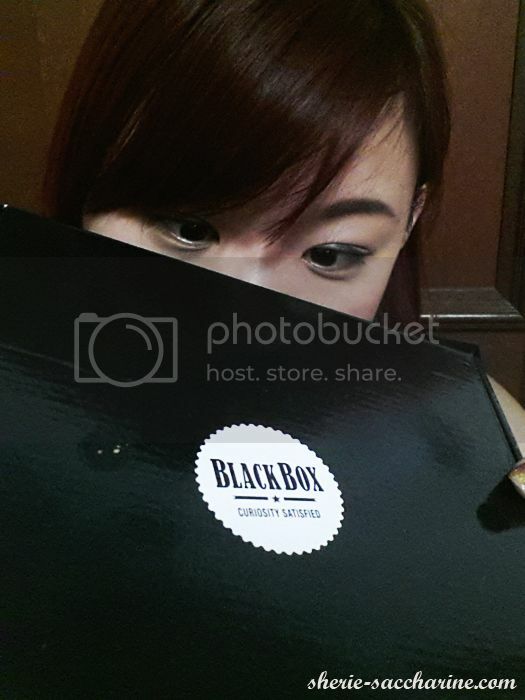 I received the Black Box at my door step with an eye-catching tagline "Curiousity Satisfied"! So of course I'm curious to find out what's in that mystery little black box. If you think that Subscription Boxes are filled with beauty products made only for women, Black Box will definitely change your perception! 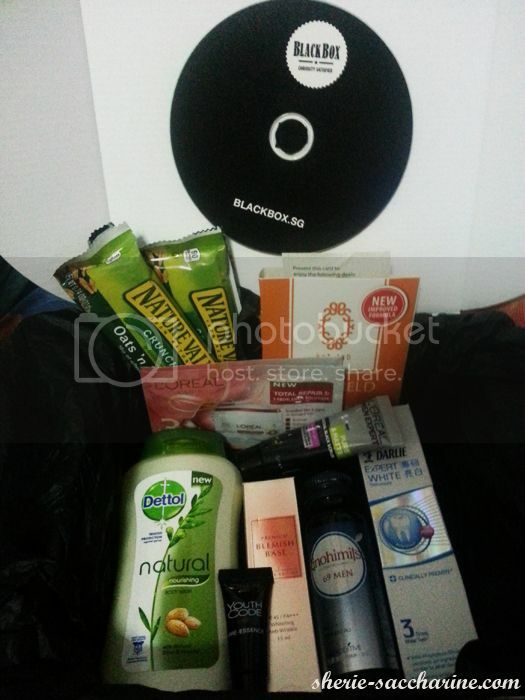 The Black Box is a free subscription box that include at least 5 products, ranging from skincare, lifestyle to food etc. Vouchers are also included for you to experience new and chic getaways, treatments and even dollars off your favourite shops! According to your interests, Black Box customizes your box to suits your needs! In the February box, here are the exciting goodies in the box! 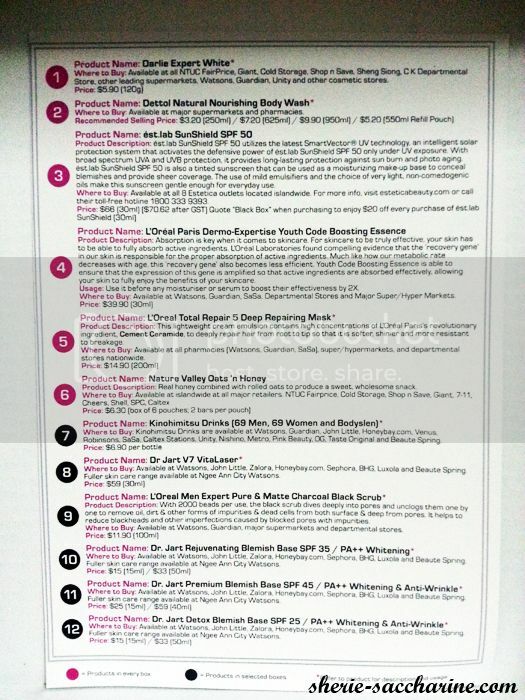 Pink items are included in all boxes, white Black items are included in selected boxes (customization). 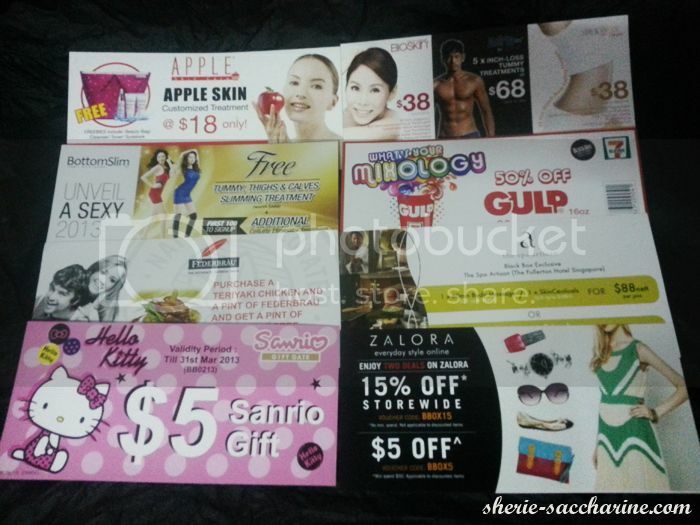 How to get this bi-monthly box which has their next FREE box in April?? Remember to thank me when you receive the goodies in April! Love you all!